Regen Power’s own HybridGEN integrated renewable power systems offer sustainable energy solutions to all types of load. 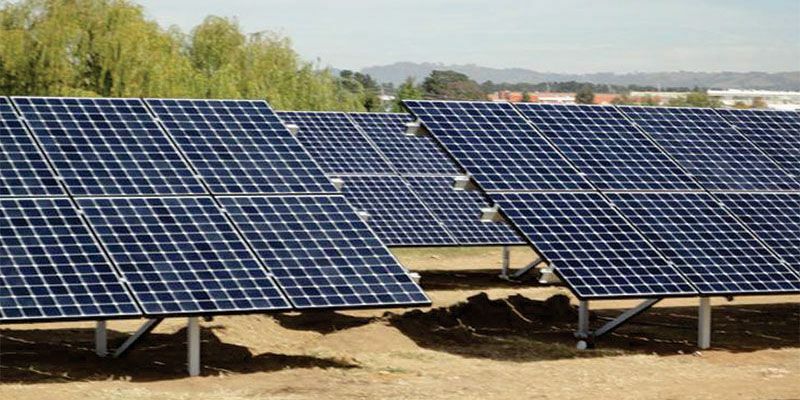 maintaining stable voltage and frequency under varying wind and solar inputs. 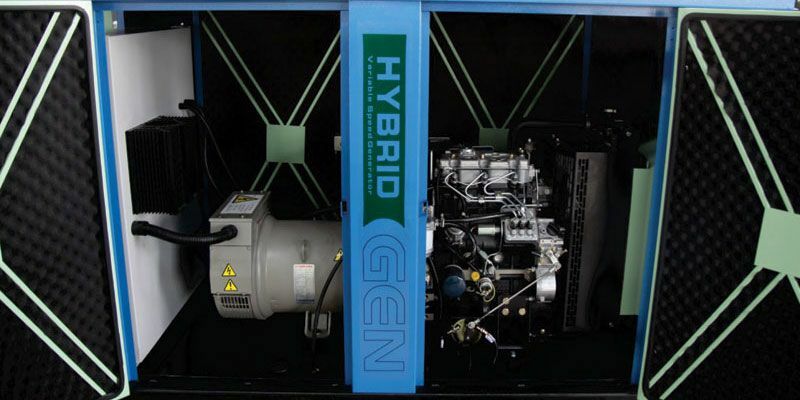 The innovative HybridGEN technology improves the reliability, quality and efficiency of supply while also providing considerable diesel fuel savings resulting in greater efficiency and improved performance reliability. Many remote and island communities where power grids have not sufficiently developed, rely solely on diesel powered generators to provide electricity. 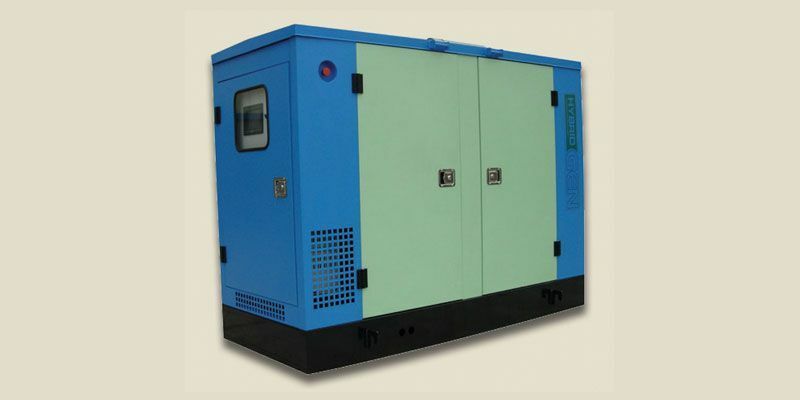 Diesel generators are typically sized to meet peak demand but will be running at a fraction of its maximum output capacity for most of the time. Besides the high fuel cost itself, this low capacity factor power generation results in higher electricity costs; air and noise pollution; loss in diesel fuel efficiency and increased operation and maintenance costs due to incomplete combustion of fuel during light loads. 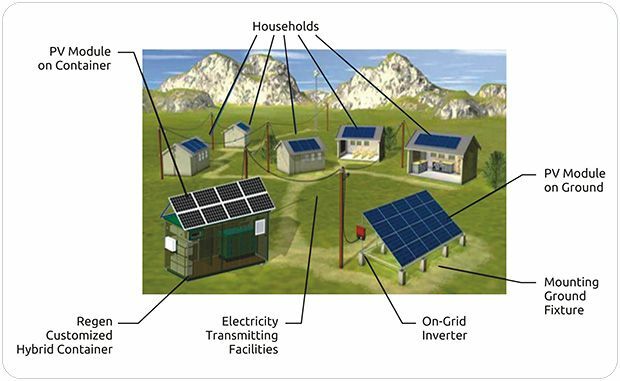 : An innovative, economic and environmentally friendly Renewable Hybrid Power Pack to replace conventional diesel generators by combining solar photovoltaic panels and wind generators with Regen’s variable speed generator technology ( patent pending). Running the engine at optimum speed reduces diesel fuel consumption, extends engine lifetime and allows high penetration of solar power with reduced battery storage. 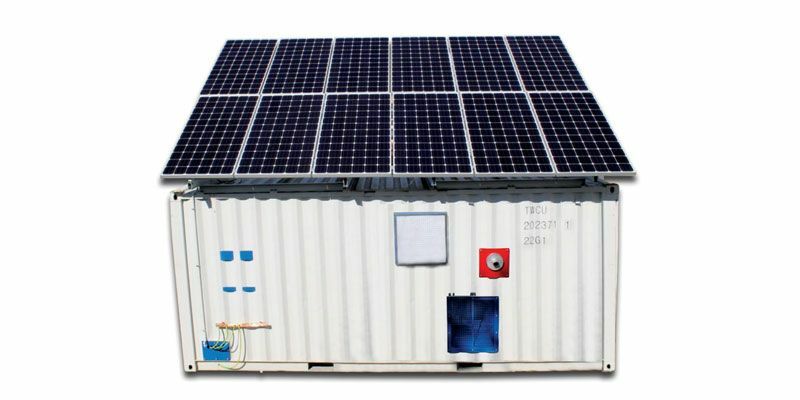 The system comes in a fully wired casing and can replace conventional diesel generators to reduce diesel fuel consumption while maintaining reliability of supply. Regen’s Renewable Hybrid Power Systems are available from 10kW to 500KW using state of the art Perkins Diesel engines, Stamford Generator, Shoto batteries, Tier-1 Solar modules and SMA/PowerOne/Leonics inverters.